Are you looking for a way to win big and become an online poker celebrity? If you think the only reason your nickname is not regularly featured on our RailBird Report is that your bankroll does not allow you to sit at those games, get ready to take your destiny in your own hands and play for a share of $1,000,000 at PokerStars. On Sunday, April 19 at 13:30 ET, the world’s leading online poker room will host a special edition of their Sunday Storm, the weekly tournament that we have all tried to win at least once. To celebrate the fourth anniversary of the event, the guaranteed prize pool on tap has been boosted to an incredible $1,000,000. And this week — only this week — the winner is sure to walk away with a guaranteed first prize of (at least) $100,000. If you want to get your chance at a share of $1,000,000, but you don't want to pay the $11 entry fee to the event, we've got you covered. All you need to do is to join the PokerNews-exclusive satellite to the Sunday Storm running on Saturday, April 18 at 13:30 ET, where the top 100 players will receive a ticket to the $1,000,000 GTD. event. The PokerNews-exclusive costs only $1.10, and this means that (if things go your way) you will be able to pad your bankroll with a lot of money for close to nothing. Not a bad ROI, right? As usual, there are two ways to join the event, and you should know that if you don't have an account at PokerStars yet, you don't even need to use your money to pay for the buy-in. In fact, if you open an account at PokerStars from PokerNews Canada right now, you don't even need to pay for the buy-in to the $1,000,000 Sunday Storm 4th Anniversary Special! 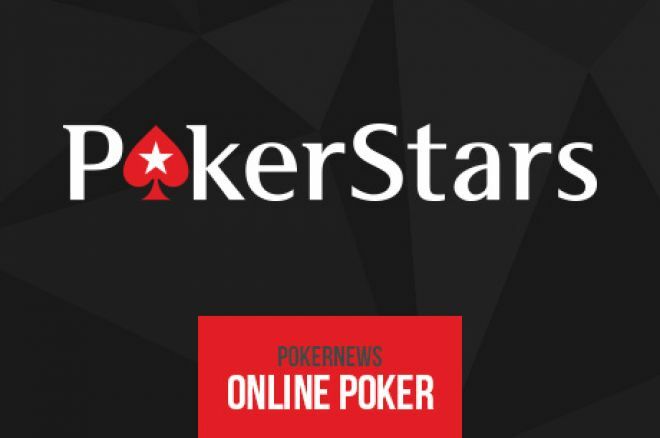 If you don't have an account at PokerStars yet, go ahead and create one from this link using our marketing code CANADIANPNEWS and our FREE20 bonus code. By doing so, as soon as you make your first deposit, you will get a great FREE $20 bonus to enjoy your games at the world’s biggest poker site, and also a ticket to play in a $2,500 exclusive freeroll running on May 8. Remember, the $1,000,000 Sunday Storm 4th Anniversary is a once-in-a-lifetime chance to turn $1,10 into $100,000 and have enough money to play poker and buy some cool gadgets. Don't miss this incredible opportunity. Download PokerStars from PokerNews Canada, make your first deposit, and join our exclusive satellite to the Sunday Storm on Apr. 18! Grab Your Share of $2,500 in our Exclusive Freeroll! It is So Easy to Win a Share of $2,500 at PokerStars!